First we have to verify the NTP configuration on the data domain . 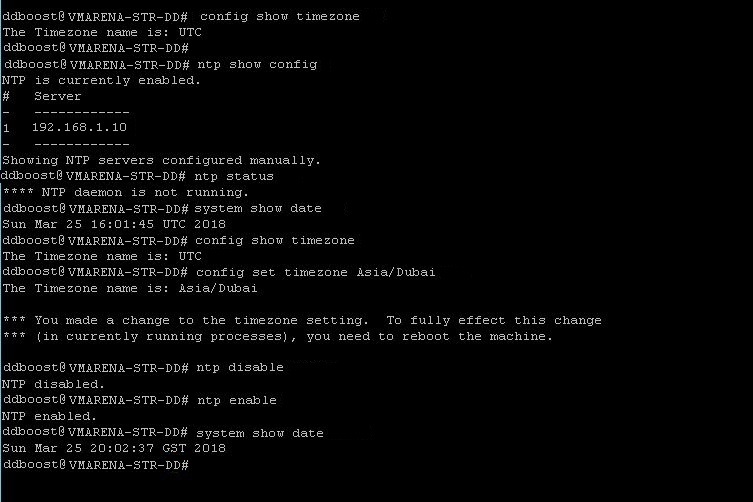 # ntp show config – To check the NTP Configuration . # ntp status – To check the NTP Daemon status .